When most people think about disaster survival, they assume they’ll need a big bag of heavy gear. When the disaster strikes, they frantically throw things into a bag only to realize they don’t have nearly enough room and it already weighs over 50 pounds. It’s easy to get carried away. Most of us are so accustomed to living a luxurious lifestyle (compared to most of the world) that we assume it takes a lot of equipment and gear to survive. It doesn’t. 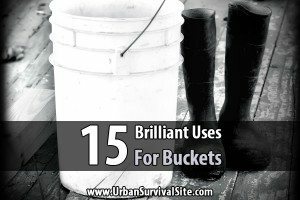 All we really need are some basic necessities that make survival easier. Specially trained military operatives can be dropped into a field with nothing more than the clothes on their back and the gear tucked away in their vests and pockets. Imagine having everything you need in your pockets. Wouldn’t that be nice? It is nice, and it’s very possible if you know what you’re doing. But you can’t just stuff anything in your pockets. Make sure you have things that will give you an edge should you find yourself in a survival scenario. You never know what is going to happen. Always being prepared is your best bet. 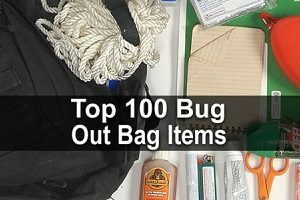 You don’t have to carry your bug out bag everywhere you go, but you should have some of these essentials stored away in your pockets. Of course, you won’t be able to fit every one of these things in your pockets. This is just a list of suggestions. But you could also pack them in your bug out bag, home emergency kit, car emergency kit, etc. and still have plenty of room for other essentials. But remember, a pocket survival kit means you will always have access to survival gear, even if you can’t get to your other supplies. Now on to the list. Ferro rods are perfect for carrying in your pocket, front or back. They are typically sold with a striker attached. Both pieces are less than a couple inches long. A ferro rod is an effective method for starting a fire—once you get the hang of it. Running the striker over the rod produces several sparks which you’ll want to aim at your tinder. A Leatherman or similar multipurpose tool is essential for survival. Any gear that serves multiple purposes is worth having. Choose a durable multipurpose tool that you can use repeatedly without worrying about it breaking. A compass is going to be key for you to find your way out or your way to a designated location. Sure, there are plenty of other methods, such as using the sun to find your way, but what if it is dark, cloudy, raining or snowing? Some people don’t have an innate sense of direction and need the reassurance of a compass. A pocket fishing kit is pretty self-explanatory. You don’t need anything bigger than an Altoids tin to carry your fishing gear. You can stash fishing line, several hooks and even some plastic bait inside the tin. All you will need to do is find a stick and you are ready to fish for dinner. A first aid kit is essential. Some gauze pads, a few band-aids, pain relievers and alcohol wipes are all compact enough to fit in a small bag or one of those Altoids tins again. Never leave home without a way to treat a minor injury. A minor injury can turn serious in a wilderness survival situation. Credit card multi-tools are great for sliding into a back pocket. They have shapes cut into them to serve various functions such as a saw, knife, wrench, ruler, can opener, screw driver, etc. These are incredibly inexpensive and offer a lot of gear in one very small, compact tool. A whistle can give you a loud voice when you don’t have one and need help. It can be used to signal other members of your group or to signal search and rescue people who are looking for you. The shrill noise is going to attract a lot more attention than your voice alone. Paracord can be wound up and stored in your pocket without you even realizing it’s there. In fact, you could just wear a paracord bracelet and keep your pocket space freed up for other gear. You can buy or make your own bracelets, belts, dog collars and key lanyards with paracord. You’ll always have cordage, which can be used for many things. A small LED flashlight is another huge help. There are plenty of flashlights to choose from that can easily slide into a front or back pocket. The LEDs are your best bet simply because they last longer on less battery power and tend to be significantly brighter. A pocket knife will give you a valuable tool for survival and self-defense if necessary. You don’t need a long blade. One that is a few inches long is fine. The key is choosing a durable knife that will not dull quickly. First of all, you shouldn’t actually put a handgun in your pocket, so this list item is the exception to the rule. Having a weapon for self defense is so important that I had to mention it, but be sure to use a holster. You don’t need the biggest baddest gun you can find. Basically, you just need something to stop a person from attacking you. A simple Glock, for example, will do the job. If you want to have a backup knife, get one you can fit in your wallet. Credit card knives are the size and shape of credit cards, but when you unfold them, they turn into sharp, durable knives. A couple kitchen trash bags neatly folded and put into your pocket will possibly save your life. They can be used as a poncho, to carry water, to make a tourniquet, to take a shower, and many other things. A lighter is the fastest way to get a fire going. Yes the ferro rods are going to last longer, but a lighter is quicker and easier. It can also serve as a flashlight if you don’t have one. An emergency blanket can fit into a back pocket or in a front pocket, although it’s a little bulky. Mylar blankets can keep you warm, be used as a reflective surface to attract attention, or used to make a shelter to keep you out of the weather. In all, there are at least 22.5 uses for Mylar blankets. Matches are another option for your fire starting needs. Ideally, you always want to have at least two methods of starting a fire with you at all times. You don’t have to buy waterproof matches. 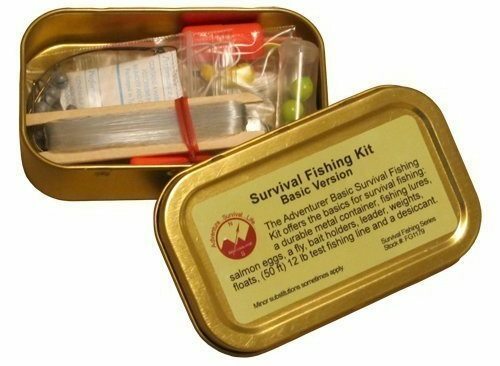 Just throw some standard wooden matches in a Ziploc bag or old pill container and put them in your pocket or with your fishing gear. Pocket survival cards that include basic first aid instructions and survival tips will come in handy. You may not remember every little detail about survival or may be a bit flustered in an emergency. Having a quick reference card will ensure you make good decisions. A survival saw is ideal for cutting wood to build a fire or a shelter. These little saws have a coiled blade with small finger rings for you to use to run the saw back and forth over a branch. They weigh less than a pound and can easily fit in your pocket. Water purification tablets are going to be very helpful when you are on the move and need clean drinking water. If you buy the tablets in a bottle, you can put them in a Ziploc bag to make them fit a bit more comfortably in your pocket. A water filtering straw is perfect for grabbing a drink of water when you are on the go and cannot stop to boil it or wait 30 minutes to treat it. Filtering straws can be put into a small puddle of water while you take a quick drink. This is an excellent option when water is scarce and scooping it up is difficult or impossible. A collapsible cup can be used to collect water, which you can then use your purification tablets to treat. When collapsed, the cup can also be used to store your purification tablets to save some pocket space. A bandana can be used to signal for help should you need it. Make sure you choose one that is brightly colored if that is your goal. The bandana can also be used to cover your face to protect it from the cold, or as a mask to prevent you from breathing in dust. And that’s just two of many other uses for bandanas. These have gotten very popular recently. They take a bunch of mini survival tools such as fire starters, tin foil, fishing hooks, fishing lines, razors, etc. and wrap them in paracord. They usually come with a carabiner so you can attach it to a belt loop. A sandwich bag filled with a few cotton balls coated with Vaseline is excellent tinder for a fire. The petroleum jelly will burn nice and slow. When small twigs are added, you can get a fire going rather quickly without wasting time looking for dry tinder. Dryer lint (and pocket lint, of course) is worth keeping. This is excellent tinder material. The lint ignites easily and is ideal for use with a ferro rod. 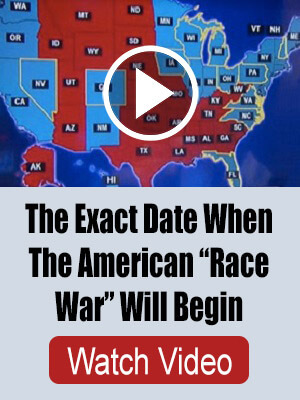 The sparks will set the lint on fire very quickly. Save it up and keep it in a sandwich bag. A roll of black electrical tape can be used to secure a shelter, repair the soles of your shoes, bind a wound, and so on. Duct tape is a favorite in the survival world, but it is a bit large and putting it in your pocket may not be ideal. Electrical tape is a lot easier to carry. Sewing kits stored in a plastic pouch or in something like an Altoids can or old pill bottle can be used to repair clothing, stitch a wound, or secure a shelter. The thread can also be used for fishing if you don’t have a fishing kit. The great thing about these is they’re easy to use and it doesn’t matter if they get wet. If it’s a sunny day, you can use this to focus a beam of light onto some tinder and get a fire going quickly. Better yet, it fits in your wallet. A few zip ties tossed into your pocket can always be useful. Tying branches together to make a raft or a shelter is quick and easy with a cable tie, and very secure. You can join several together to bind larger branches or use them to hang a blanket from a tree to make a nice lean-to. Check out all the other things you can do with zip ties. A square of aluminum foil may not seem like much, but it can do a lot. You can put the foil inside the top of that Altoids can where you’re storing your fishing gear, or you can slide it into your back pocket. 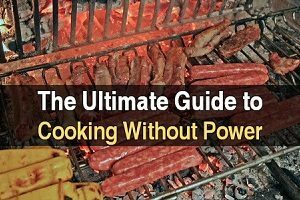 The foil can be used to heat food, start a fire, or keep food you have harvested clean while you’re on the move. This item also has many other uses. A tube of super glue can be used to close a wound, repair shoes, add feathers to arrows, or fix a hole in an emergency blanket. The possibilities are endless, and you will likely discover a little glue can make a big difference. Rubber bands are another one of those things you don’t think twice about until you wish you had one. They can be used to hold a bandage in place, lash together branches for a shelter, or hold your hair out of your face. Glow sticks are nice to have when you don’t want to have a fire and don’t want to waste the batteries in your flashlight. The higher end lights will stay lit for about 12 hours and provide a soft glow that allows you to see without being overly bright. This is yet another item with multiple survival uses. This list is by no means comprehensive. Everybody is going to have their own opinion about what is important to have. 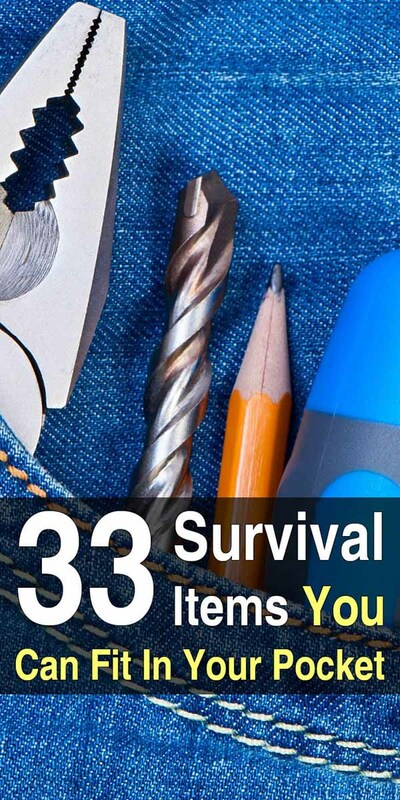 You obviously can’t pack all 33 items in your pockets, but the more you can carry, the better your chances will be. Spend some time choosing your gear and packing it neatly into bags or small tins. When done right, you can get a lot of stuff into a very small space. AAA or finer steel wool can be started on fire with a ferro rod and you don’t have to have it dry. It burns up very fast so layer with other tender and can have a fire going in no time. actually you can find an effective firearm that can fit in your pocket (i.e. 380 auto, small 38 revolver, or a small .22 Magnum revolver) don’t carry without a pocket holster to ensure nothing gets inside barrel or trigger ring causing a unwanted discharge or malfunction when you need it. also don’t carry anything else in the same pocket. slower to bring into play but less noticeable.